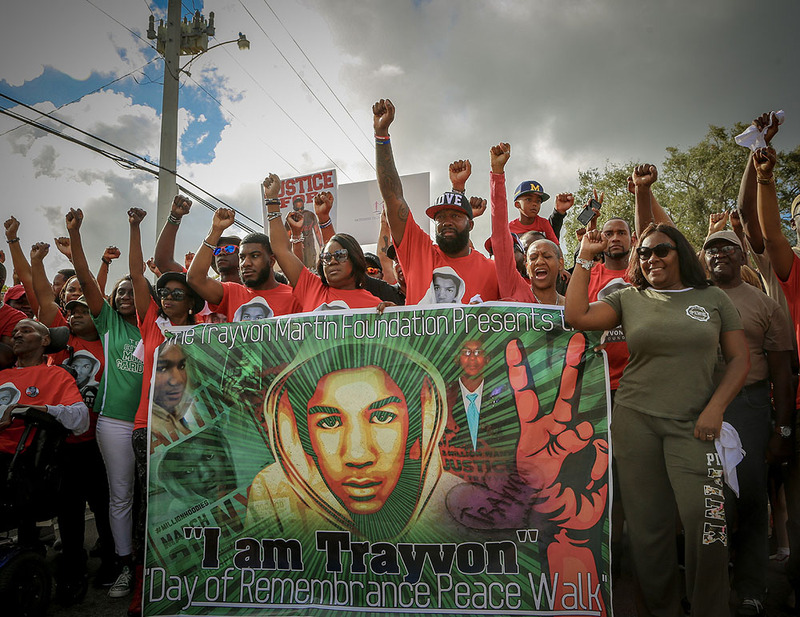 Netflix’s Bobby Kennedy for President, Paramount Network’s Rest in Power: The Trayvon Martin Story, YouTube Red’s Cobra Kai, and feature documentaries Freaks and Geeks: The Documentary and Mr. SOUL! The 2018 Tribeca Film Festival, supported by AT&T, will debut highly anticipated TV shows and introduce audiences to online storytellers without boundaries in its Tribeca TV and N.O.W. (New Online Work) sections. Those will includes 18 shows made up of eight series premieres, three season premieres, one mid-season premiere, two feature documentaries and five indie pilots. The fifth edition of N.O.W. includes 12 programs in the Episodic and Short Form Showcases, in addition to the Creators Market. N.O.W. will also present five The New York Times Op-Docs. 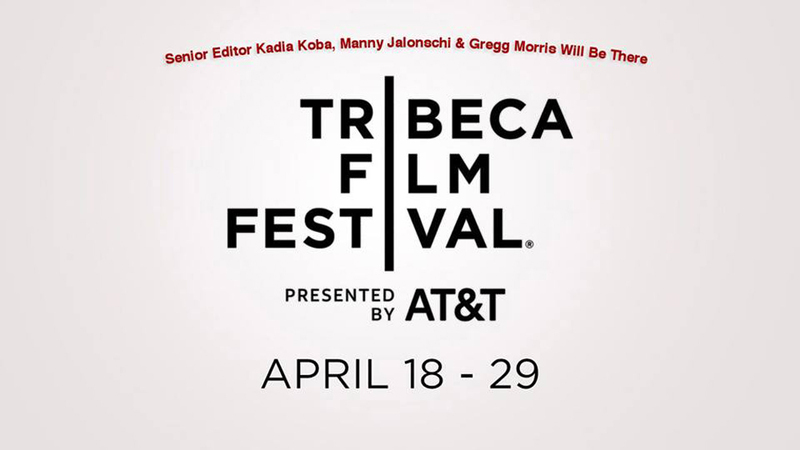 The Tribeca Film Festival takes place April 18-29. 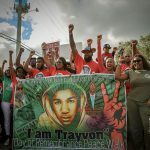 This year’s Tribeca TV lineup includes world premieres of new series, including Rest In Power: The Trayvon Martin Story, from Executive Producer Jay-Z, based on the timely book of the same title; Sweetbitter, a coming-of-age series about a young woman working the restaurant industry in New York City and Cobra Kai, with Ralph Macchio reprising his iconic role from The Karate Kid franchise. Two feature films exploring iconic television shows will World Premiere: Freaks and Geeks: The Documentary, looking at the fan favorite with a dedicated cult following, created by Paul Feig and executive produced by Judd Apatow and Mr. 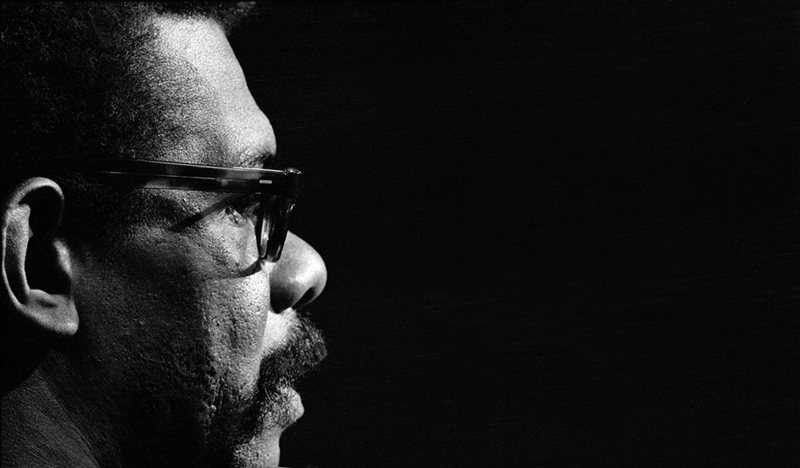 SOUL!, focusing focuses on the groundbreaking show Soul!, which presented the breadth of black artistry and culture for the first time to nationwide audiences via the medium of television. On the Spectrum: Three 20-something roommates, autistic. They navigate day-to-day concerns of work, friendship, romance. ELLIS HAIZLIP, Producer, WNET/PBS weekly TV show, “SOUL.” Set interview with Toni Morrison, 1972. 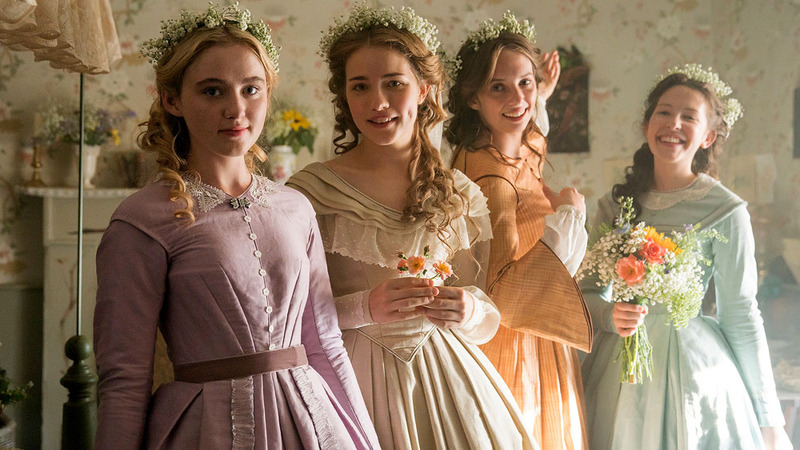 Anthology series re-imagines classic fairy tales through the perspective of its female characters, whose overlapping stories take place in the same small town. 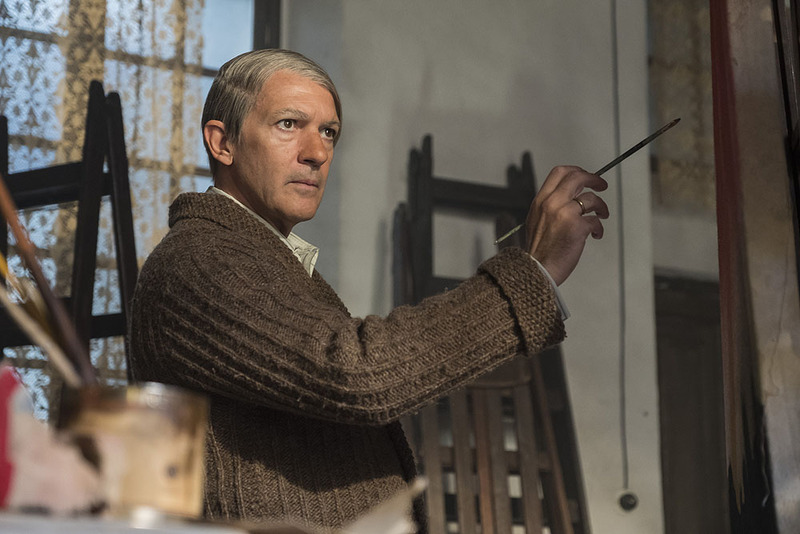 National Geographic’s acclaimed Genius series returns to Tribeca with Genius: Picasso, starring Antonio Banderas, on the heels of the series’ world premiere at last year’s festival. The star-studded cast of HBO’s hit series Westworld, Evan Rachel Wood, Thandie Newton, Jeffrey Wright, and James Marsden will be in attendance for the New York premiere of season two’s premiere episode. Tribeca TV also presents the best in new independent voices in episodic television with its Pilot Season section with five new unaffiliated projects. The N.O.W. Showcase features the latest work from 18 unique online creators who are using their platforms to tell original stories. In the Episodic Showcase the projects range from coming-of-age stories about gender non-conforming friends in Dinette, to Snugglr, a comedic series about a young Turkish woman who takes up the strange profession of cuddling with strangers for profit, to an animated series based on the Oscar®-nominated short film Pig: The Dam Keeper Poems. Some of the works in the Short Form Showcase include a documentary about the devastating water crisis in Flint, Michigan called Flint is a Place; a film set in the dystopian future wherein an aging fisherman in Vietnam discovers an android woman from his past called The Last Fisherman; and Crime Cutz, a hybrid documentary-music video all set to the music of the band Holy Ghost! These online creators, as well as an additionally curated 15 participants – including, for the first time, VR and immersive filmmakers – are invited to take part in the Tribeca Creators Market – a private industry market that brings creators together with distributors, brands, and MCNs to pitch and discuss their latest work. The Tribeca Film Festival continues to serve as an artist’s launching pad across platforms. Last year, the Tribeca TV section featured the world premieres of Hulu’s The Handmaid’s Tale, USA Network’s The Sinner, and National Geographic’s Genius. In 2016, HBO’s The Night Of and AMC’s The Night Manager series premiered at the Festival. Highlights from the past five years of the N.O.W. program include High Maintenance from Ben Sinclair and Katja Blichfeld, which was picked up by HBO, The Gay and Wondrous Life of Caleb Gallo from Brian Jordan Alvarez, which went on to receive a Breakthrough Series – Short Form nomination at the Gotham Awards and You’re So Talented by Samantha Bailey which was nominated for a Gotham Award. Executive Producers: Laura Michalchyshyn, Dawn Porter, Gunnar Dedio, Nestan Behrans, Dave Sirulnick, Justin Wilkes, Jon Kamen.Acclaimed d irector Dawn Porter reveals anew what America gained and what it lost in the life, vision, politics, and hope of Bobby Kennedy. Executive Producers: Josh Heald, Jon Hurwitz, Hayden Schlossberg, Susan Ekins, Will Smith, James Lassiter, Caleeb Pinkett, Ralph Macchio, William Zabka. Epic adversaries return to the dojo in Cobra Kai, an all-new series in which Ralph Macchio and William Zabka reprise their star-making roles (and riva lry) from the iconic film franchise, The Karate Kid. With Ralph Macchio, William Zabka, Mary Mouser, Xolo Maridueña, Tanner Buchanan, Courtney Henggeler. Executive Producers: Derek Waters, Jeremy Konner, Will Ferrell, Owen Burke, Adam McKay. Derek Waters, along with an ever-changing cast of actors and comedians, travels across the country to present t he liquored-up narrative of our nation’s rich history. With Derek Waters, Jeremy Konner. Freaks and Geeks: The Documentary, directed by Brent Hodge, produced by Aly Kelly, Matthew Galkin. (USA) – World Premiere, Feature Documentary. Tribeca alum Brent Hodge examines the untold stories and pivotal moments from the making of one of the greatest “one-season wonders” ever produced—one that influenced pop culture far beyond the series’ short TV life. ​With Paul Feig, Judd Apatow, Seth Rogen, Jason Segel, Linda Cardellini, Busy Philipps, James Franco. 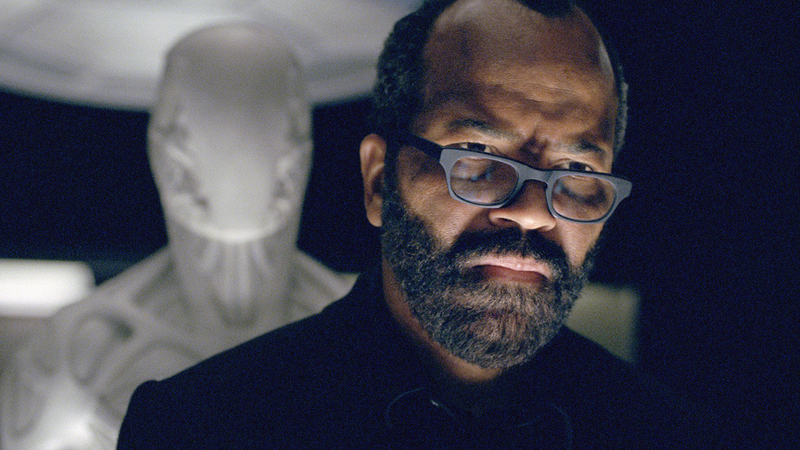 As a new chapter begins, Westworld continues on its dark odyssey about the dawn of artificial consciousness and the evolution of sin. Actor Jeffrey Wright pictured above. This anthology series re-imagines classic fairy tales through the perspective of its female characters, whose overlapping stories take place in the same small town. With Zosia Mamet, Trace Lysette, Gugu Mbatha-Raw, Paul Wesley, Norbert Butz. Detroit-based tech mogul Colton, played by actor Marcus Henderson pictured above, stands on the edge of a bridge in the middle of the night, ready to jump to his death. But when a strange woman perched above him derails his plan, he finds he’s in for a bizarre, and increasingly violent, night. With Marcus Henderson, Susan Deming, Jeffery Waddell, Langston Fishburne. 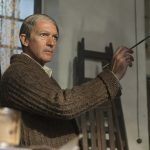 Jacob A. Ware is an actor and writer, best known for playing Harold Selby on HBO’s Boardwalk Empire. He is the head writer and host of the RYOT Studio show Screen Time; his television credits also include Law and Order: SVU, Shades of Blue, and Late Night with Seth Meyers.Amanda Cowper is a New York City-based producer and director. As associate producer on NBC’s Late Night with Seth Meyers, Cowper produces all of the show’s field pieces. Home, created by Micah Sudduth, Keylee Sudduth (USA) – World Premiere. Pulling from the true life experiences of the filmmakers, Home mines the humor and heartbreak of growing into adulthood, leaving home, and balancing individual creative careers as a married couple in the millennial age. 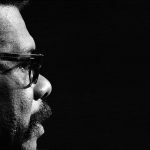 Micah Sudduth grew up in the woods of East Texas and survived years of homeschooling so that he could one day pursue his dream of a) being around people and b) making films. Georgia Bernstein is a filmmaker from Los Angeles. A recent graduate from Northwestern University, she’s living in Chicago where she created and directed a short film for Condé Nast and Indigenous Media based off her web series, Snugglr. Her first short film about modern neuroticism was an official selection in the 13th annual CineYouth Festival. Cemre Paksoy is an actor and filmmaker living in Chicago. She recently adapted Snugglr, the web series, into a short film that can be seen on Condé Nast’s The Scene. She’s from Turkey where she windsurfs and pets dogs. 67 out of 100, Metacritic’. The Last Fisherman, created by Shal Ngo (USA, Vietnam) – World Premiere. In a dystopian future, on the South China Sea, an aging fisherman discovers an android woman from his past. Shal Ngo is a Brooklyn-based filmmaker who seeks to bring the inner workings of the human brain to the big screen. After graduating from New York University in 2008, he began working in narrative, documentary, and commercial filmmaking. He is now in development on two projects: his debut feature, a sci-fi thriller about a sentient smart house, and a series of stop-motion documentaries about the psychology of mental health. Rémy Bennett received her B.A. in acting from the Central School of Speech and Drama in London. Her film work includes Martin Scorsese’s Wolf of Wall Street and HBO’s Boardwalk Empire, and she also runs Hurry Sundown Productions with her husband, Monroe Robertson, and sister, Kelsey Bennett, who is a New York City-based photographer and filmmaker who has shown work in her home city as well as Los Angeles and London and has contributed to Interview magazine, Dazed, and Vice magazine. The New York Times’ Op-Docs returns to Tribeca for year two of beautifully depicted short documentary stories, all told with Op-Docs signature expertise. Touching upon unforgettable historical events, to universally relatable family struggles, all the way to emotionally-charged, timely debates, this crop of online films is an impressive and uniquely diverse group. After the screening, please join us for a conversation with the filmmakers, moderated by The New York Times’ Op-Docs Executive Producer, Kathleen Lingo. – Gabriela Arp is an independent filmmaker and virtual-reality director whose work focuses on reinterpreting memory and creating experiences that blur the line between reality and imagination. She was a Sundance Institute Knight Fellow in 2017 and was selected for the Oculus VR for Good Creators Lab program. 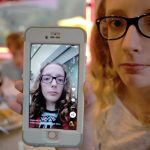 – Sydney, Australia native Lauren Augarten published her first play, Define You, at just 14 years old. She moved to the United States at 21 to study at David Mamet’s Atlantic Theater School, she created the digital series Same Same, based on her experience as a newly out queer woman in Brooklyn, New York. The series won the LGBT Category award at the LA New Media Film Festival, and was an official selection at Newfest. It has been featured in The Huffington Post, Washington Post and Buzzfeed, and was recently acquired for European distribution. – Jesse (Jesus) Ayala is a creator specializing virtual-reality, social-impact storytelling. Ayala is the creative director and founder of Fovrth Studios and was selected for the Oculus VR for Good Creators Lab in 2017, as a creative fellow with Future of Storytelling for Good in 2016, and as a nominee at the Shorty Awards in 2018. – Lindsay Branham is an Emmy®-nominated filmmaker and social scientist with an interest in art that inspires human connection in imaginative ways. Her work focuses on how investigative storytelling, combined with emerging technology, can foster behavior change in places of violent conflict or in settings of intractable human rights abuses. – Misha Calvert is an award-winning actor and show creator, whose projects span film, television, and digital. Her acclaimed series, Tinder is the Night, is currently screening at festivals around the world. – Baron Davis is a professional basketball player as well as an actor, filmmaker, and CEO and founder of No Label Productions. Alongside his 2-time NBA All-Star’s career, he produced the Emmy®-nominated documentary Crips & Bloods: Made In America, and directed the documentary film The Drew; No Excuse, Just Produce which aired on Showtime. – Jenn Duong is a director and producer who works primarily in virtual reality. She has created a range of cutting-edge virtual-reality projects, ranging from short-form documentaries to music experiences. – After rising to fame with her role on The Real World: Ex-plosion, Ari Fitz (Arielle Scott) created two YouTube Channels, Ari Fitz and TOMBOYISH. She posts videos on an array of subjects that touches upon her life, gender, sexuality, and fashion. She has garnered a strong following, with over 13 million views across both channels. – Native New Yorker, Tatienne Hendricks-Tellefsen attended Atlantic Acting school and RADA. Recent Theater credits include: Measure for Measure, and Women by Chiara Atik. Hendricks-Tellefsen wrote, produced, and stars in Adult. – Manon Lucy Mathews is an actress and alumnus of The Second City Conservatory in Hollywood, as well as The Groundlings and Upright Citizens Brigade. Bud Light tapped Manon to create original content for them and she has also worked with T-mobile, JBL Speakers, and Mastercard. She is now starring in the YouTube RED series Single by 30, as well as the Universal web series Off Script. – Daniel Navetta is a multi-disciplinary creative artist. He founded the influential creative agency, APK.NYC. Channeling a wealth of experience as a musician and content creator, he has worked with a dynamic range of brands, agencies, networks, musicians, and artists. His work as a director and producer has earned him nods for multiple MTV awards, and a GRAMMY nomination. His films have also been exhibited at Museum of Contemporary Art and the Brooklyn Museum. – Landon Stahmer is an emerging writer, director, and producer from Nebraska. Stahmer created the popular horror web series Look-See, which is distributed by CryptTV, and has received over 20 million views. He has produced content for many digital distributors, including, most notably, AwesomenessTV; he also has projects in development at the studio level. – Matt Steffanina is a world-renowned choreographer who has worked with countless artists, including Jason Derulo, Taylor Swift, and Chris Brown. In 2016, he won The Amazing Race, a victory that transformed him into an international superstar. Steffanina is YouTube’s most-followed dancer in the world, with more than 10 million subscribers and more than a 1.5 billion views on his videos. – Casey Stein (Holy Night Director/Co-Creator) is a Washington, D.C.-born, New York City-educated, and Brooklyn-based director. A lover of skateboarding, theater, and emerging technology, he has worked with the likes of the New York Tim es and 20th Century Fox.Bernard Zeiger (Holy Night Writer/Co-Creator) is an award-winning screenwriter and professional game designer. He studied film and economics at New York University and is now an associate writer at Kognito, a health simulation company. – Jacob Wasserman is a writer, director, and producer based in Los Angeles, California.Also participating in the Tribeca N.O.W. Creators Market are the N.O.W Showcase creators Tess Sweet, Shaina Feinberg, Georgia Bernstein & Cemre Paksoy, Keylee Sudduth & Micah Sudduth, Jacob A. Ware & Amanda Cowper, Yumna Al-Arashi, Ben Fries & Alden Nusser, Mike Martinez & Tyler Wray, Shal Ngo, Remy Bennett & Kelsey Bennett. Single ticket sales begin Tuesday, March 27 and cost $21 for evening and weekend screenings, $12.00 for weekday matinee screenings, $30.00 for special film screenings, $40 for Tribeca Talks panels, $30.00 for Tribeca TV, and $40.00 for Tribeca Immersive. Tickets can be purchased online at tribecafilm.com/festival/tickets, or by telephone at (646) 502-5296 or toll free at (866) 941-FEST (3378) or at the ticket outlet located at Cinépolis Chelsea (260 W. 23rd Street). Events at the Beacon Theatre are now on sale. Also available for purchase now is The Hudson Pass, an all access pass to screenings and talks taking place at BMCC, Regal Battery Park Theater, Cinépolis Chelsea, and the SVA Theatre, as well as full access to all events at the Tribeca Festival Hub at Spring Studios, which includes VR and immersive projects, special screenings with music performances, and access to the lounges.